Bharati Vidyapeeth (Deemed to be University) Medical College, School of Optometry Established in July 1998, the School of Optometry has been constituted under the Faculty of General Surgery and is a part of Bharati Vidyapeeth Medical College, Pune. In August 2000, the school was the first Institute in India to get affiliate membership of World Council of Optometry. Many students from Canada, Kenya, Tanzania, Iran, Nepal and Sri Lanka have been admitted to Optometry. As of (August 2010, Eleven batches) have completed the course with 286 under graduate and 53 post graduate students having passed out. A few of them have taken admission to Universities in England, for Masters and Ph.D. courses. One of the gold medalist is an optometry teacher in an Institute in Singapore. Many graduates have found jobs in Gulf countries. 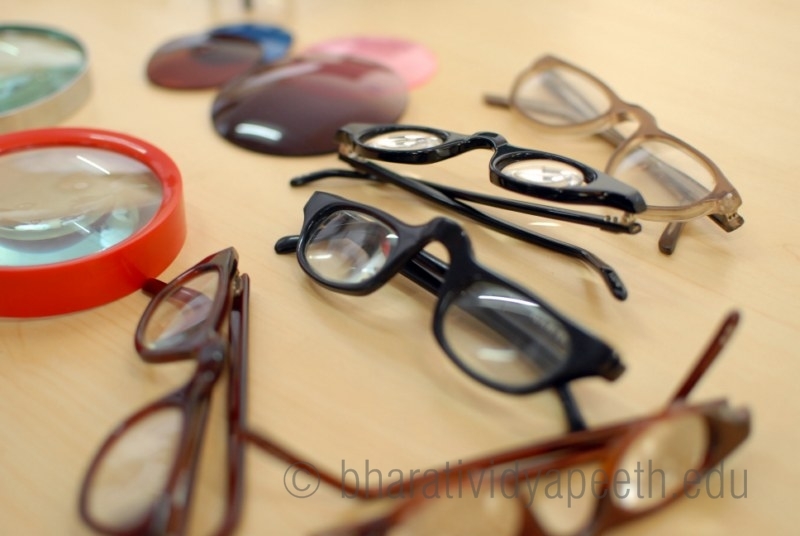 In 2003, Bharati Vidyapeeth is the first Institute in the country to have started a 2 year Master in Optometry (M.Optom.) course.